A mockup of ispace’s lunar lander concept. Japanese startup ispace, which has grand ambitions of creating a lunar base, says it is teaming up with three other aerospace companies to conduct regular missions to the surface of the Moon for NASA. All four companies, one with experience navigating the Apollo missions to the Moon, will contribute their personal area of expertise in order to design, build, and launch a spacecraft that can land on lunar soil. The four companies have come together to compete in NASA’s Commercial Lunar Payload Services program (CLPS). It’s the space agency’s initiative to send small, robotic lunar landers, made by private companies, to the Moon. It’s meant to be the first in a series of programs that NASA will do to stimulate the creation of lunar landers, as the space agency focuses on a return to the Moon. In April, NASA called for interested companies in the commercial space industry to send in designs for landers they could build and operate for CLPS. Such vehicles need to be capable of putting a payload of at least 22 pounds (or 10 kilograms) on the Moon. The submission period ended yesterday, October 9th, and NASA plans to pick a round of “finalists” for the program by the end of the year. This roster of companies will then be able to compete for various contracts with NASA. For instance, the space agency will pay these companies for room on their landers, in order to carry certain science instrument to the Moon. NASA plans to spend up to $2.6 billion over the next 10 years on these contracts. So whoever is selected for the program will have the opportunity to compete for pieces of that money pool. ispace threw its hat in the ring, as the company is actively working to create hardware that can explore the lunar surface. In fact, ispace has had its eye on the Moon for a while, well before NASA decided to focus on it again. The company oversaw a finalist team in the Google Lunar X Prize Competition — an international contest to send the first private spacecraft to the Moon. ispace’s team, Hakuto, had designed a rover that could travel on the lunar surface. The competition ended without a winner, but ispace is still moving ahead. The company recently announced that it had booked two flights on SpaceX’s Falcon 9 rockets, to send multiple spacecraft to the Moon as early as 2020. 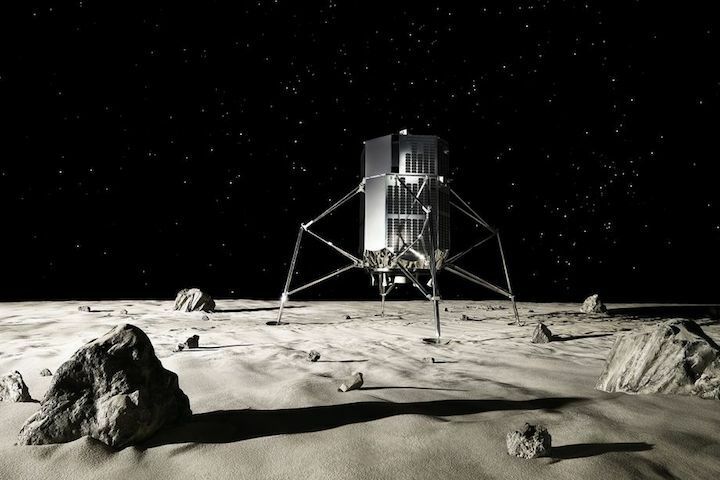 While ispace is working to create its initial lunar vehicles on its own, the company has decided to partner with other aerospace organizations to help create the best landers for NASA’s CLPS program. ispace will be in charge of the overall design of the vehicle, which the team has named Artemis-7 after the Greek goddess of the Moon. But the other three companies will provide key services for the lander. 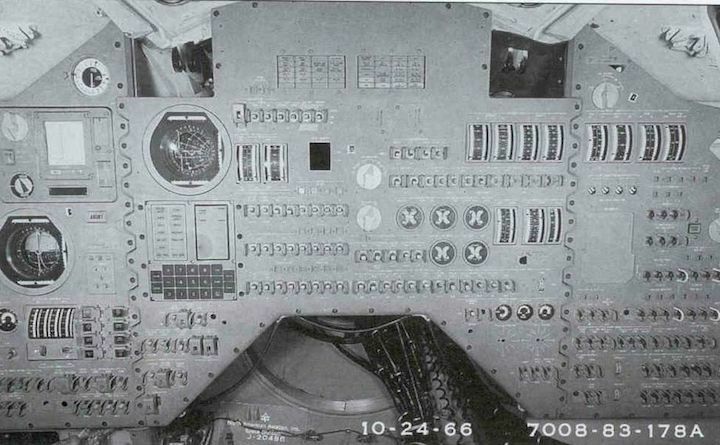 The inside of the Apollo command module, which housed the guidance computer. The first major partner is an engineering firm called Draper. The company focuses on numerous fields of technology, but it also has a rich spaceflight legacy. Draper, originally the MIT Instrumentation Laboratory, designed the systems needed for spacecraft guidance and navigation during the Apollo missions to the Moon. “We were the very first contract that NASA ever put out for the Apollo missions,” Alan Campbell, a space systems engineer at Draper, tells The Verge. And the company has provided many of the navigation systems for NASA’s biggest human spaceflight vehicles, such as the Space Shuttle and the International Space Station. Building on this expertise, Draper plans to provide the guidance and navigation systems for the Artemis-7 lander, which will help the vehicle travel to the right spot on the Moon and land on the surface. Draper will also provide management and serve as the prime contractor of the entire four-company team. That way, ispace can be involved since NASA stipulated that the prime contractor must be based in the US. And finally, the fourth partner is an aerospace company called Spaceflight Industries, a relative newcomer in the industry like ispace. However, Spaceflight has recently become a go-to company for small satellite operators looking to find rides to space. The company helps broker rocket ride-shares, by finding leftover room on vehicles already scheduled for launch. That way, small satellite manufacturers can have their hardware hitch rides on rockets that are launching much bigger satellites to orbit. Spaceflight will do the same for the Artemis-7 lander, by finding available rockets the spacecraft can launch on. This four-way partnership does not include any financial exchanges. The companies say they will contribute their own work, and if they are picked for the program, they’ll split the contracts they are awarded between them. However, Campbell argues that this partnership will make building the Artemis-7 more affordable since the companies won’t have to start from scratch on the key components. ispace already has a design it’s working on, while Draper simply needs to tweak its navigation software for this vehicle. “We just need to tailor it to the specific mission, which is a lot cheaper than building it up from scratch,” he says.